MTech Ballistic Satin Finish Push Dagger Plain Edge | BUDK.com - Knives & Swords At The Lowest Prices! This updated design from MTech brings you a quality, double-edged stainless steel push dagger with a sleek satin finish. The 5mm-thick steel is rock solid, and the rubberized handle provides a secure, non-slip grip. The 3 7/10" blade is ideal for covert personal protection. It includes a nylon sheath. My dagger arrived well constructed, not loose. The edge is not too sharp, but is sharpened easily with a diamond sharpening tool. The point is sharp as it should be on a dagger. The sheath is nylon with belt loop only, no boot clip. Remember, if the edge on the dagger is not sharp, that is ok. Daggers are supposed to be pointy for stabbing & pearcing. Good dagger for the price; highly recommended! I finally found my second edc. I have brought couple of push blade, United Cutlery Undercover Black Twin Push Daggers (rated 4 star), Black Legion Convertible Dagger (rated 3 star), Black Legion CS:GO Shadow Dagger (rated 3 star). Then I wanted United Cutlery Undercover Black Magnum Push Dagger but it was out of stock, so for a replacement I got MTech Ballistic Series Stonewash Push Dagger and MTech Ballistic Satin Finish Push Dagger. After I attach it to my belt and test the feel and use it some, it felt very smooth. I would of given it 5 stars if it was a kydex sheath instead of that cheap nylon sheath. If it was a kydex sheath, even if it was $5 more, I would get it and give it 5 star. I love the two i ordered. They arent as sharp as i would like but they will make effective self defense weapons. "Just got this blade today and it is a very good buy! Its small size, sharp blade, and sturdy point get my thumbs up without question." 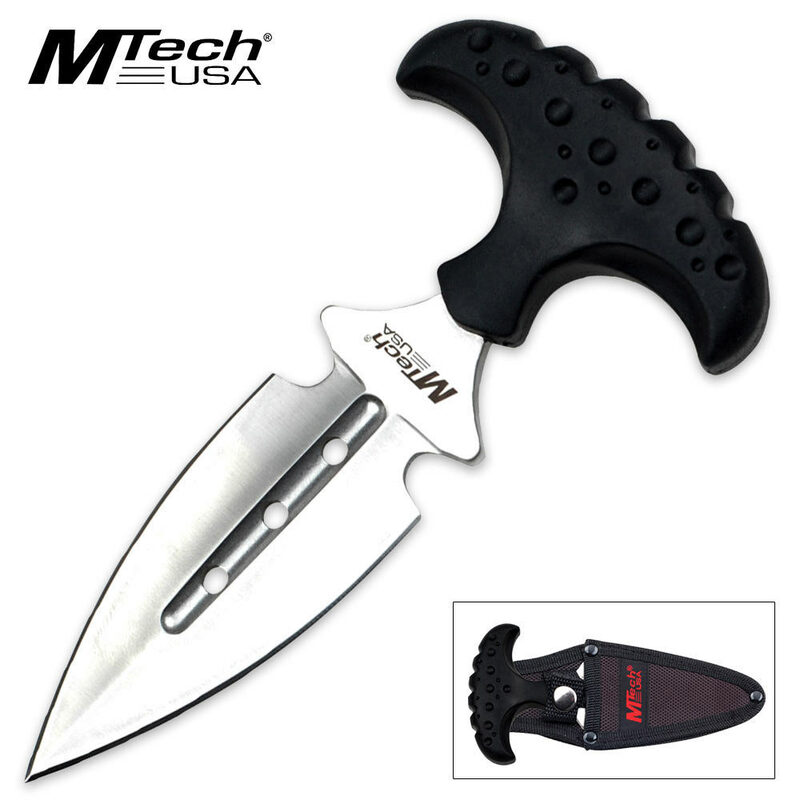 The MTech push dagger is a quality knife, and represents a great value. This is the first type of this knife style I have owned, and I was impressed!